Mainstream retailers are starting to accept bitcoin, but a pair of tusks from an adult woolly mammoth has to be one of the strangest — and coolest? — items you can buy so far with the digital currency. 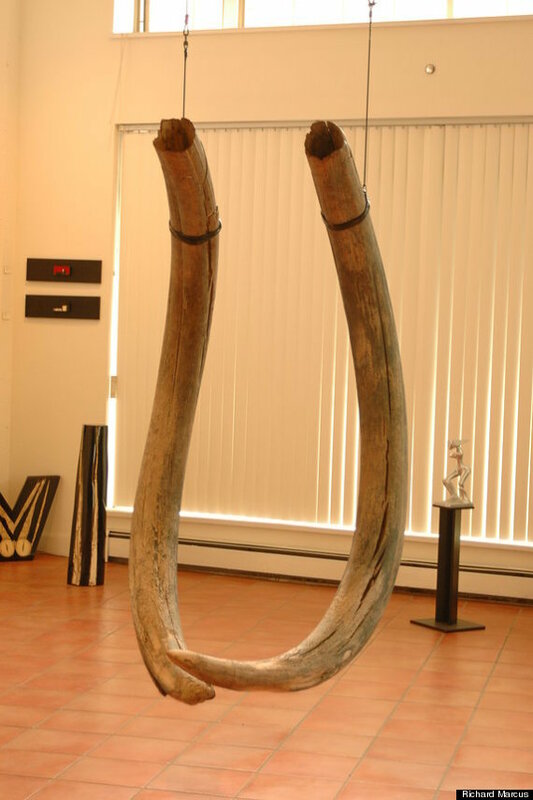 Richard Marcus, a dealer in Vancouver, is selling the tusks for Ƀ273.446, or $175,000 US. The tusks were excavated by a small gold mining operation outside of Dawson City, Yukon in the mid-late 1980s, according to the listing, as well as a YouTube video of the discovery. The tusks measure 8.5 and 9.5 feet long, and weigh about 120 lbs. each. Trade in elephant ivory has been banned since 1989, when the United Nations passed an international treaty to protect African and Indian elephants who had been hunted to the brink of extinction. But buying and selling mammoth or mastodon tusks is legal because the animals are extinct.